A few months ago, a lovely lady contacted me about my Bermuda Collection. 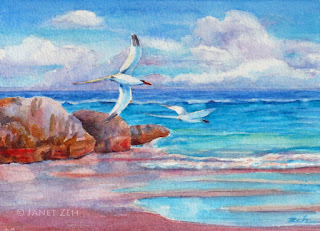 She and her husband wished to give his mother a special painting for Christmas to remember a vacation the three took in Bermuda. 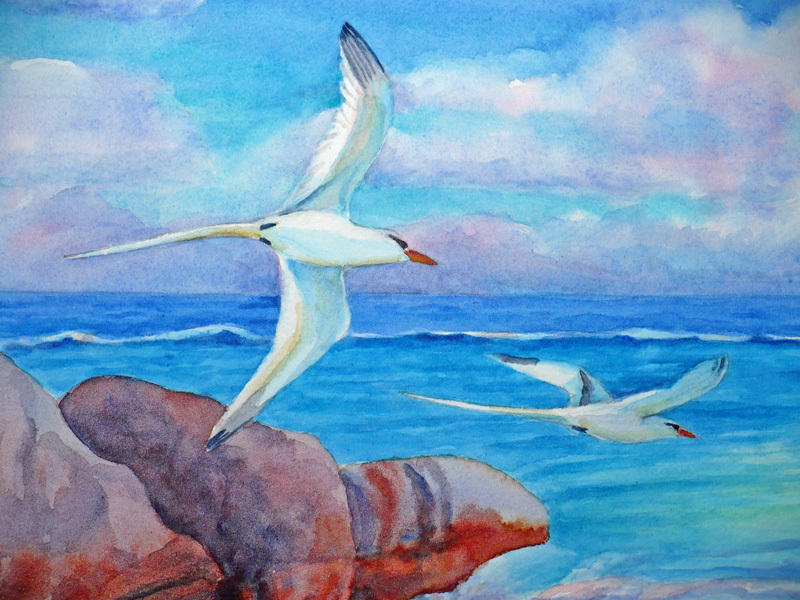 Her mother-in-law loved watching the Bermuda Longtails as they flew between the coral cliffs and turquoise water. The painting on the left was the perfect choice, but it was sold. 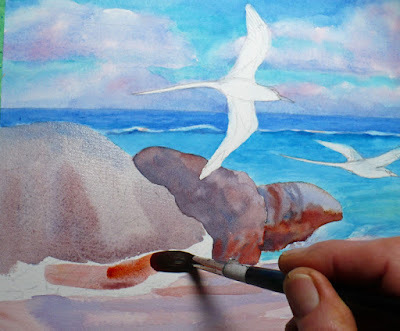 So I agreed to paint a new one for her at a larger size. 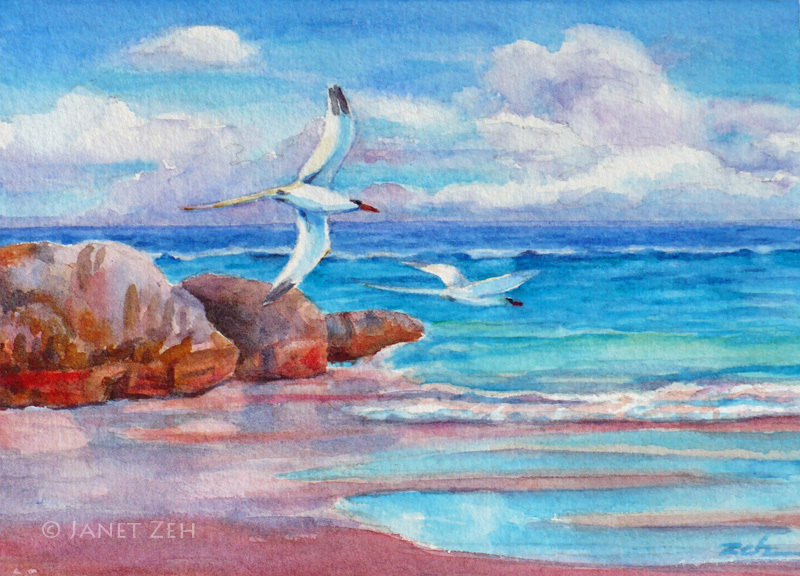 I was happy to visit Bermuda again at the easel! 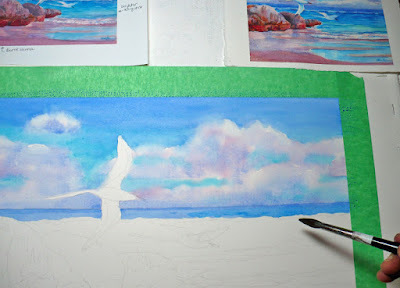 I'll share the process of painting the 12x16 version with you, so if you'd like to see, keep on reading. She loved it, so onward with the larger painting! I paint around the white birds. With watercolor, white is made by leaving the white paper showing rather than using white paint. 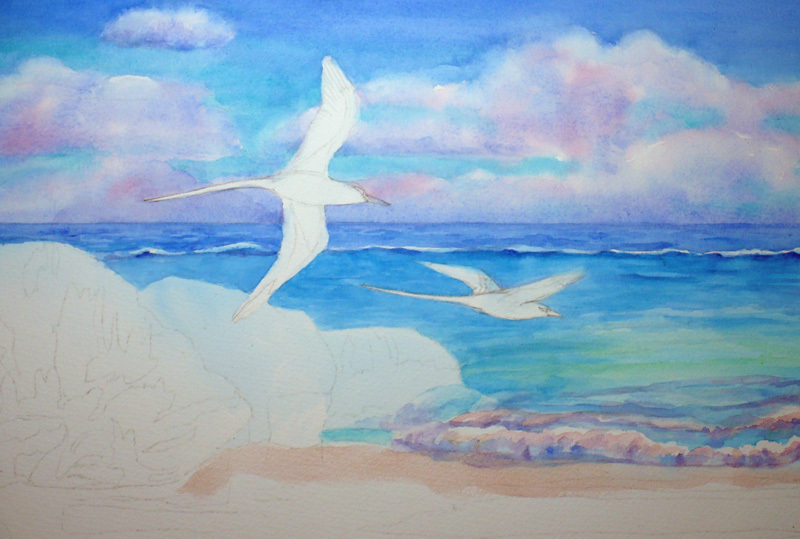 The Longtails are next. These seabirds are so beautiful! It's quite an experience to see them fly right by you. Their pure white feathers reflect the color of the water so they almost look turquoise themselves. Once I paint the beach, the painting is finished. You can click the image to see it larger. 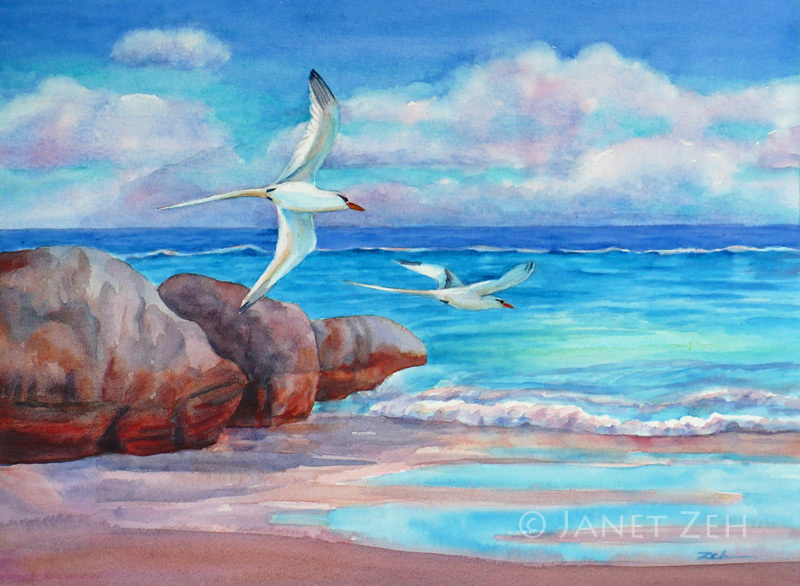 My client gave this 12x16 inch painting to her mother-in-law, but I included the small study shown above as a surprise for her and her husband to enjoy. I love it. Looking forward to seeing your process!